MEDINA, Ohio--(BUSINESS WIRE)--Aug. 1, 2018-- RPM International Inc. (NYSE: RPM) today announced that its Rust-Oleum group has acquired the Mean Green branded line of specialty cleaning products and the exclusive North American licensing for Roto-Rooter branded drain care products from CR Brands, which is based in Cincinnati, Ohio. These product lines have annual net sales of approximately $20 million. Terms of the transaction, which is expected to be accretive to earnings within one year, were not disclosed. 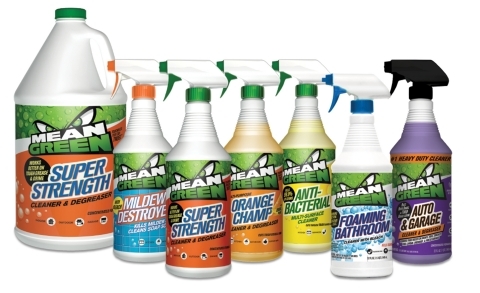 Mean Green is a leading heavy-duty cleaner, with a broad array of products for mold, mildew, bacteria, grease and other uses. Roto-Rooter is the number one name in plumbing services, lending tremendous brand strength behind its line of drain care products that include hair clog remover, gel clog remover, build up remover and septic tank treatment. These products have broad national distribution and can be found in big box retailers, such as Home Depot, Lowe’s, Wal-Mart and Menards, as well as grocers and other retailers. They will be integrated into Rust-Oleum's current portfolio of cleaning and drain care products.